Above, the Crow High School Band performs for veterans at Lane Electric. 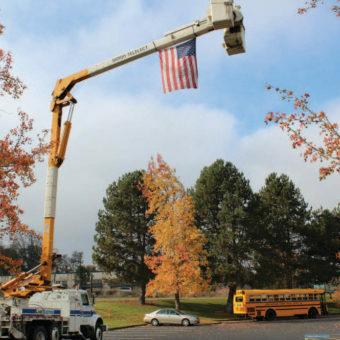 Below, almost 60 veterans joined the LEC board and staff for lunch; a flag greeted guests. 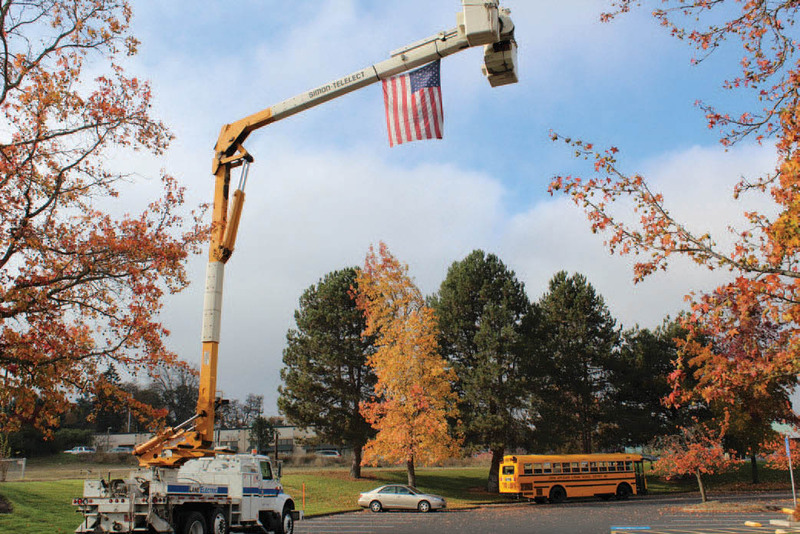 Lane Electric Cooperative hosted nearly 60 veterans at its second annual veterans lunch on November 8. The co-op acknowledged directors, employees and members who served in the armed forces. Crow High School’s nine- piece band performed the National Anthem and other patriotic music. Immediately after, the band departed for Washington, D.C., to play in the Parade of Heroes. Nominated for this honor by an anonymous veteran, the band was the only group selected from Oregon. The Crow community helped raise more than $15,000 for the band’s trip. “The fact that this opportunity is bringing some positive attention to a small school district and a small music program is truly remarkable,” Pat says. Lunch guests heard from Dr. John LeBow, founder of Veterans Legacy in Alma. The nonprofit provides integrated treatment to address medical and psychological needs of veterans, with an emphasis on therapeutic agriculture. 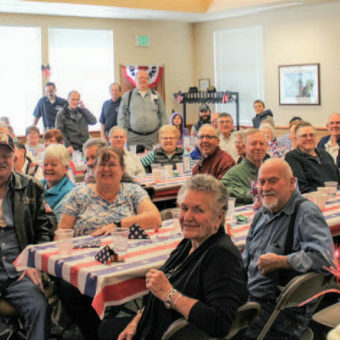 LEC Credit & Member Services Supervisor Julie Stephens envisioned the lunch last year after learning Veterans Legacy is in the co- op’s service territory. If you are a veteran and were not notified of this event, please contact us at 541-484-1151 so we can include you next year. Thank you.